Technology Services supports the University by providing access to high quality, state-of-the-art, computing, communications, and information resources. Learn more about what Technology Services does. View a list of our staff. See how we are organized with respect to our services. Technology Services provides computing and network facilities to students and faculty for their educational and research activities; supports the university's management information systems; manages the campus network; and provides telecommunication, digital media and technical support services. Open lab areas and computer classrooms are equipped with networked desktop computers. All residence hall rooms have wireless network access as well as wired gigabit ethernet access to the campus backbone. Technology Services supports web browsers and web-based collaborative tools such as email, calendaring, file sharing and audio/video conferencing. Popular software applications for Microsoft Windows and Apple macOS are supported in the lab areas and computer classrooms. 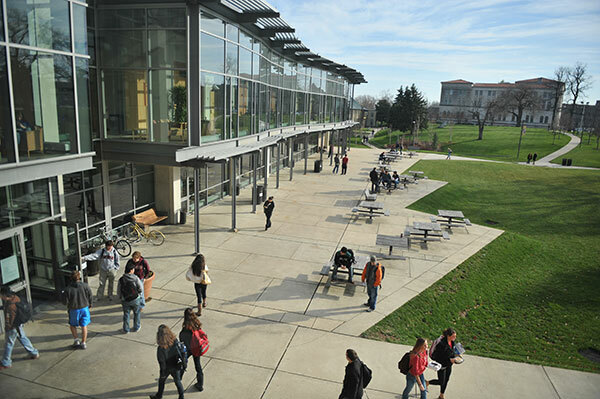 The campus computing environment consists of virtualized and cloud servers running Microsoft Windows and Linux operating systems and more than 2,000 networked desktop computers with direct access to the Internet and the Washington Research Library Consortium. Central computing services are accessible over the campus network and via web browsers and virtual private networking from outside campus. Technology Services is the central IT department on campus, and is headed by the Chief Information Officer. It currently is aligned to deliver its services through three groups, Enterprise Applications, Operations and User Services.